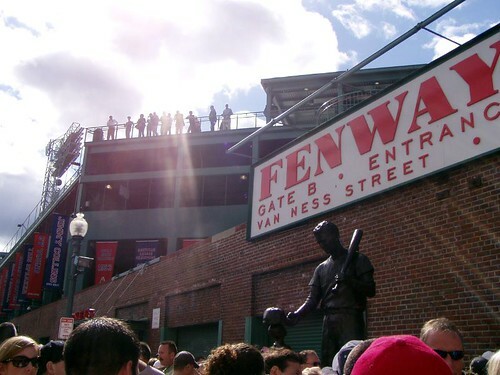 My Top 10 Fenway Moments - Cursed To First - Sox and Pats forever. I couldn't believe it--the guy let me through. He let me right through, and I walked right down and there I was, sitting three rows behind home plate for the top of the eighth. I've always known they were the best seats in the house. But I never knew to what extent. The difference between our seats for the game and being in those home-plate seats was almost as big as the difference between watching the game on TV and actually being there. The pitch came right at you--you could see Varitek's tricep flex as he gloved it, and the smack of it in his glove was vivid indeed. When Travis Lee singled to right center, the crack of it off his bat was like an explosion--you could hear the way the impact resonated in the wood. You could hear the scratch of his cleats as he took off for first base. 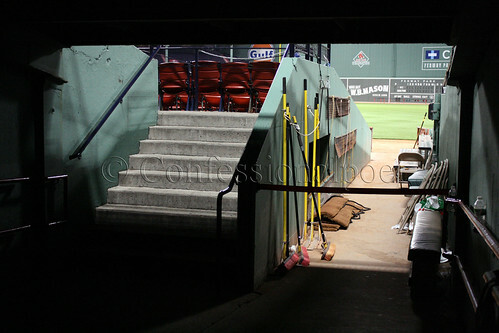 Last night at Fenway, there was something sweetly nostalgic about the mood there for me, as I sat in these prime seats surrounded by my Dad and several of my friends. 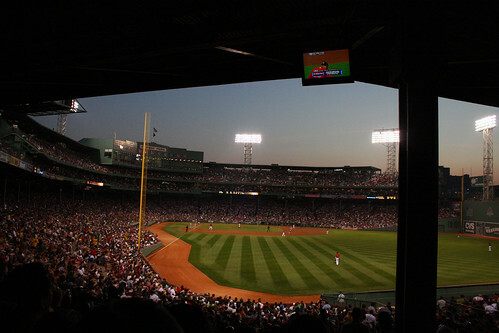 I can distantly remember Fenway being more like this when I came as a kid -- a more casual place. And in some ways a more comfortable one. 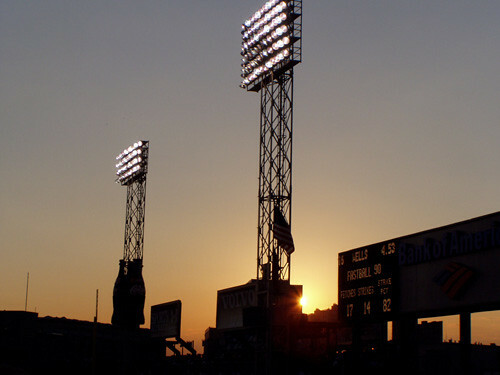 As the game wore on, the audience in the stands distilled itself still further, until there were at most just a few thousand left in the ring of seats closest to the infield. But as it dwindled in numbers, the crowd seemed to concentrate and intensify rather than fade away -- what fans were left packed in as close to the field as they could. And they made the noise of twice their number when Darnell McDonald hit an ultimately meaningless home run in the bottom of the eighth inning. At the very last moment I remembered the positive visualization encouraged by Edward Cossette and others in the Bambino's Curse days before the 2004 season; at the very last moment I looked out to the blank expanse of grass between the second baseman and the center fielder, playing deep, and tried to aim my thoughts in the direction of its vulnerability, willing the ball toward some uncanny sense I suddenly had about an opportunity there, at the thickest part of the outfield. 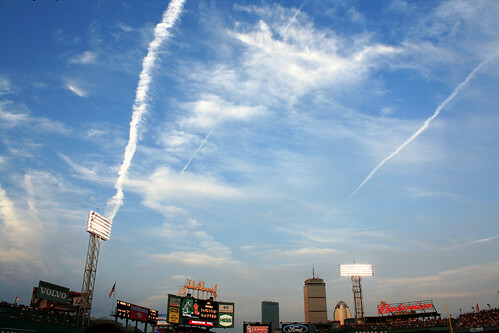 I had pictured a blooper falling into no-man's-land in shallow center, but what followed off Loretta's bat was a towering fly ball to deep center, which first appeared to be a home run, and for a disconcerting instant or two, a possible flyout to the warning track, another trudge toward Kenmore Square to the tune of "Goodnight, Sweetheart" on the Fenway organ. 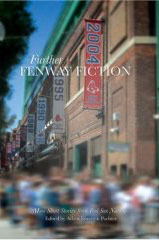 And then--miraculously--it granted every wish by glancing off the wall, and plunking onto the dirt of the track behind the center fielder, while Mirabelli and Gonzalez sprinted home, pumping their arms and legs in urgency, and finally that footstep I've been waiting for came down on home plate. Our seats were about two rows down from the Dunkin' Dugout. They weren't the priciest seats in the ballpark, but they were some of the best I've ever had, because they were so high up that the view was breathtaking. 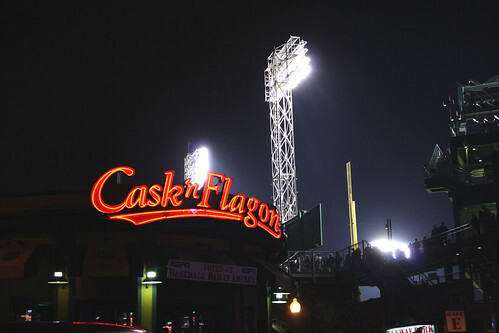 By the third inning, surrounded by the colors of twilight, and our commanding vista over the field, utterly drunk on the sheer beauty of it all, I turned to Sam and said, "It is just. so. beautiful." Dennis' family had no idea, apparently, that his picture was going to appear on the billboard. 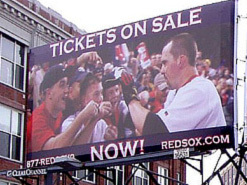 The photo is from the aftermath of Trot Nixon's walkoff home run in Game 3 of the 2003 ALDS. 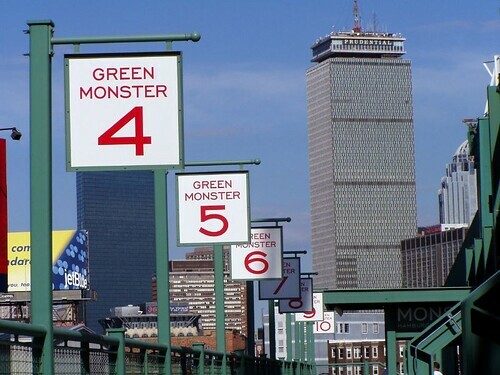 Dennis, meanwhile, was killed by a drunk driver on October 30, 2004, the day of the Red Sox' victory parade. 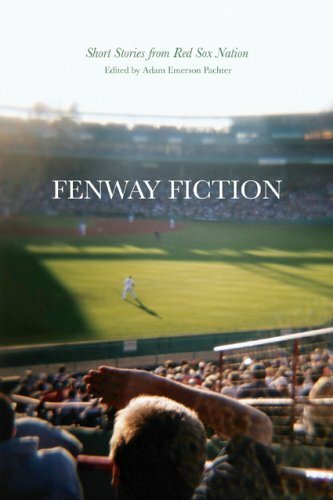 "Seeing the billboard, the Thomson family took it as a sign," intoned the Fenway announcer, as the park suddenly grew still, "That Dennis was all right, and watching the Red Sox, wherever he was." 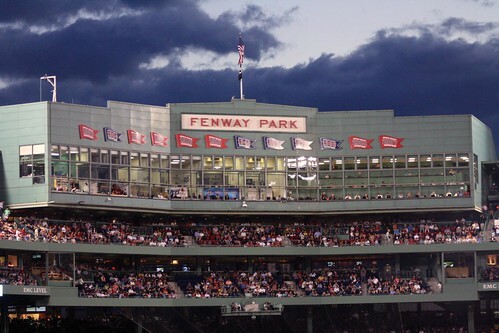 Dennis' parents and siblings and the two friends pictured to his left in the billboard photo stood on the mound. Dennis' brother was to throw the pitch. Trot Nixon crouched behind the plate to catch it. Beyond the Fenway facade and the Monster the sunset began to paint the clouds and the faces of buildings, visible beyond the walls from our high perch. Below us the park was spread out in perfect crisp greens. The crowd was hushed. The boy on the mound threw the ball as hard as he could to Trot, who gloved it after one bounce. The crowd gave the boy and the family a standing ovation. I wish I could say I saw the throw to the plate and the safe slide by Bay, but by then all around me was such bedlam I lost sight of a good chunk of the field. 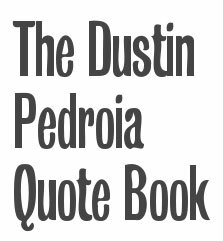 I only knew that the sound around me was like its own great tidal wave crashing overhead, and I could see thousands of arms raised in triumph, and then the field came back into view again and the Sox were mobbing Lowrie at first base. 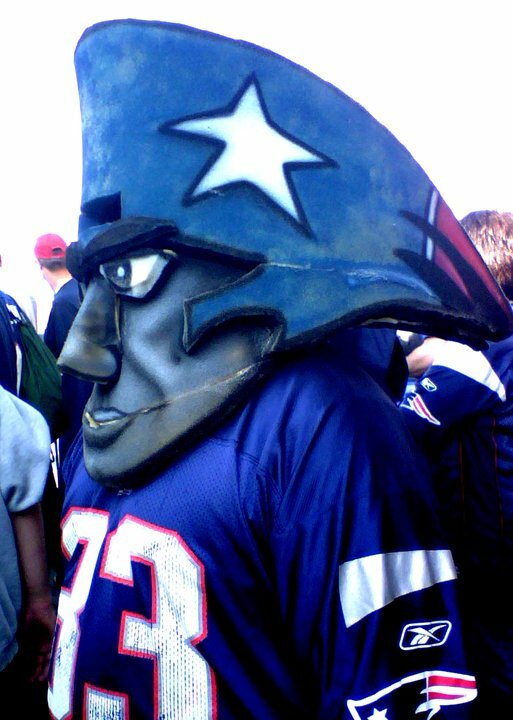 And that's when "Dirty Water" started playing. Iain came back. And because they knew what was good for them, the Red Sox did, too. Great post. Many great passages, even for readers who aren't major sports fans.